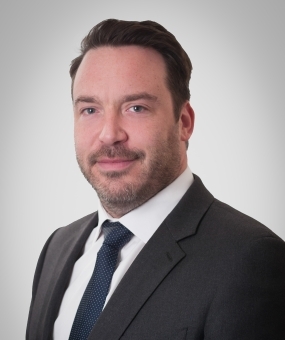 A specialist in construction, engineering, energy, shipbuilding, telecoms and related professional negligence disputes, Ben regularly represents clients in the English courts and international and domestic arbitrations. He has been instructed in relation to a number of high-profile construction and engineering projects in London, including Wembley Stadium, the Jubilee Line, and the East London Line extension, as well as major construction, energy and infrastructure projects in Europe, the Middle East, and Asia. He is regularly instructed in domestic and international shipbuilding, engineering and construction arbitrations by both commercial and government clients. As sole and junior counsel he has represented clients in disputes in which the governing law is not English law. Ben accepts appointments as an adjudicator and, as counsel, has represented clients in numerous adjudications, including the adjudication that gave rise to one of the leading adjudication cases of 2014, Eurocom v Siemens  EWHC 3710 (TCC). Ben is experienced with many major standard form contracts, including the JCT and NEC standard forms, and is a contributing author to Keating on Offshore Construction and Marine Engineering Contracts and Keating on NEC 3. Represented the main contractor in a 4-week TCC trial about the construction of part of the Olympic Athlete’s Village in Stratford London (with Piers Stansfield QC). Represented the Chinese cladding contractor in a dispute concerning the construction of the one of the tallest buildings in Dubai (with David Thomas QC). Acted for a government client in a long-running £80m arbitration concerning defects in the design and construction of a military facility in Scotland, UK (with Sarah Hannaford QC). As sole counsel, acted for the contractor in a multi-party dispute concerning a nuclear power plant in the UK. Instructed as sole counsel for a major French defence contractor in defending a $6m delay and disruption claim. Instructed by the owner of a thoroughbred training facility in Asia in relation to defects in the design of reinforced earth walls (with Adam Constable QC). Represented a European engineering company in a £40m TCC claim in respect of alleged defects in a 50-strong fleet of locomotives, raising issues of the construction of a guarantee and jurisdiction of the English courts (with Simon Hughes QC). Acted for the developer of a prime residential development forming part of the Crown Estate in central London in relation to a nuisance claim against the main contractor. Represented the claimant contractor in relation to the construction of a major hydro-electric power plant and associated tunnelling works in Vietnam (with David Thomas QC). Acted for defendant employer in relation to a TCC dispute about the construction of a new railway line in London (with Marcus Taverner QC). Acted for the Japanese contractor in a claim for payment concerning a major road-building project in Dubai, UAE (with David Thomas QC). Represented a European engineering company in a TCC dispute concerning alleged defects in the gearboxes of a fleet of trains (with Simon Hughes QC). Advised the builder in relation to a designer’s contractual limitation of liability in relation to the construction of a tramway in England. As sole counsel, represented a major French defence contractor in defending a $6m delay and disruption claim concerning the IT and control systems of an airport in the Middle East. Represented the builder in a claim for payment in relation to the design and construction of one of the world’s largest mega-yachts. Instructed by the claimant owner of an off-shore wind farm in a multi-million design defects claim (with Paul Buckingham). Instructed by a major UK insurer of new-build homes as sole counsel in multiple domestic arbitrations. Acted for the defendant structural engineers in relation to a £100m-plus claim in relation to alleged defects in pre-cast concrete car park in Dorset, the largest of its kind in Europe (with Piers Stansfield QC). Acted for the owner of a large commercial warehouse premises in Bristol, UK, in relation to a claim about negligent geotechnical, geo-environmental and structural engineering design (with Marcus Taverner QC). Acted for the main contractor in defending a £16m defects claim in relation to a housing development in north London (with Piers Stansfield QC). Instructed in the Wembley Stadium litigation as part of the counsel team for Brookfield Construction (UK) Limited (formerly Multiplex) in a professional negligence claim against the consultant engineers. Instructed as sole counsel by the defendant construction auditor in relation to a professional negligence claim concerning alleged design defects in the cladding of a tower block in northern England. Represented the developer of a hotel and residential development in Bournemouth, UK, in a professional negligence claim against a firm of cost management consultants. Regularly instructed for advisory and advocacy work by one of the UK’s largest telecommunications companies. "He has an excellent drafting style, is a pleasure to work with and has a really good manner with solicitors and clients." "Up-and-coming junior who is lauded by instructing solicitors for his high-quality construction practice". "Hard-working and not afraid to get stuck into complex technical issues with expert witnesses." "Very careful, considered and thorough." "He is a strong up-and-coming junior with excellent attention to detail and drafting skills." "He is very diligent and very hard-working". Ben worked in advertising before coming to the Bar, making TV and cinema campaigns for Heineken, Stella Artois and others. These days he relaxes by riding motorbikes and playing the bass guitar in the Keating Chambers’ band Demolition, surprising winners of Law Rocks London in October 2017.